Welcome 2018 with a delicious treat from Makati Shangr-la Hotel! 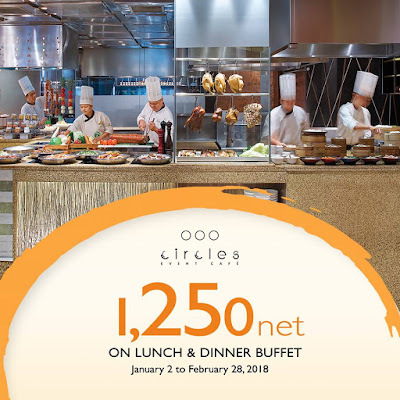 Check out Makati Shangri-la's Circles Event Cafe's Buffet Promo! Savor local favorites and international cuisines with live action stations for only P1,250 net. Offer is available daily for lunch and dinner from January 2 to February 28, 2018. 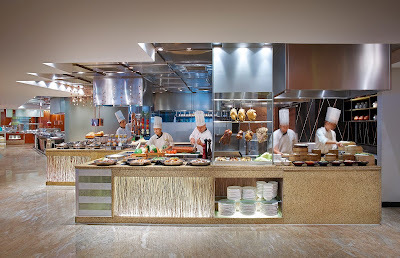 For inquiries and bookings, call (632) 814-2580 or email rric.slm@shangri-la.com. Terms and conditions apply.